History Mochizuki School - yoseikanwyfs Webseite! He studied directly under Masters Kano Jigoro, Mifune, Funakoshi and Toku. He was assistant to both Master Kano and Master Ueshiba. He was the first ever to show Aikido in Europe, and was one of the greatest Masters of the 20th century. In 1931, Master Minoru Mochizuki opens the Yoseikan dojo, at the foot of the sacred Fuji Yama, and teaches Judo, Aiki-Jujitsu, Iaido, Kobudo (and Karate under the direction of Master Sano). Later, Master Minoru Mochizuki went to Europe, the USA and Canada several times to introduce and teach Aiki-Budo in those countries. He introduced Aikido to Europe in 1951. Master Minoru Mochizuki died in France in 2003 at age 96. In 1957, Minoru Mochizuki sends his eldest son, Hiroo, to France with the task of introducing Karate in Europe. Hiroo Mochizuki will stay there until 1959, and then return to Japan to finish his VMD studies. In 1963, he comes back to Europe and participates in the creation of the French Karate Federation (FFKAMA). In 1964 he becomes the first technical advisor to the French Karate Federation and European Karate Union. In the 70's, under supervision of Hiroo Mochizuki, the French Karate team becomes the first foreign team ever to defeat the Japanese team in the Karate world championships. In 1965, Master Hiroo Mochizuki creates his own school of martial arts, called "Yoken" (mastery of sabre and fist). 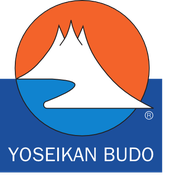 Later, he renamed it YOSEIKAN BUDO in homage to his father. 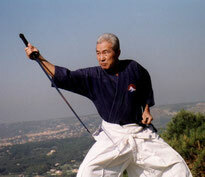 Born in 1936 in Shizuoka, Master Hiroo Mochizuki has an extensive knowledge of martial arts. He trained with his father, and also with Masters Hyogo, Ostuka (the founder of Wado Ryu Karate) and Michihara (the founder of Shotokan Karate) as well as Ueshiba. He also practiced Boxing, Kickboxing, and has a marked interest in Chinese martial arts. 7th Dan in Iaido and Kobudo. 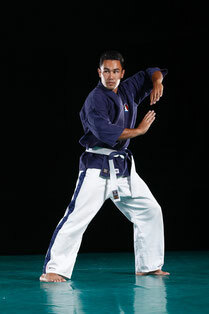 He is presently the Soke, or Grand Master, of Yoseikan Budo worldwide. 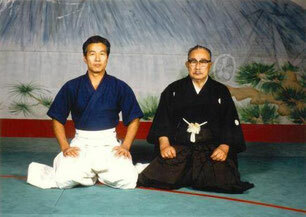 Master Hiroo Mochizuki is the creator of Yoseikan Budo as is it practiced today around the world. He created the French Yoseikan Budo Federation in 1975, the International Center of Yoseikan Budo in 1978, and received from his father the title of successor in all areas of Yoseikan Budo in 1992. In 1997 he established the Yoseikan World Federation.